Dr Martens 6923 Turbine Rigger Boots – Greenline Services & Supplies Ltd. This Dr Martens rigger boot offers the highest level of comfort and durability. An ideal choice for the construction, landscaping and farming industries. 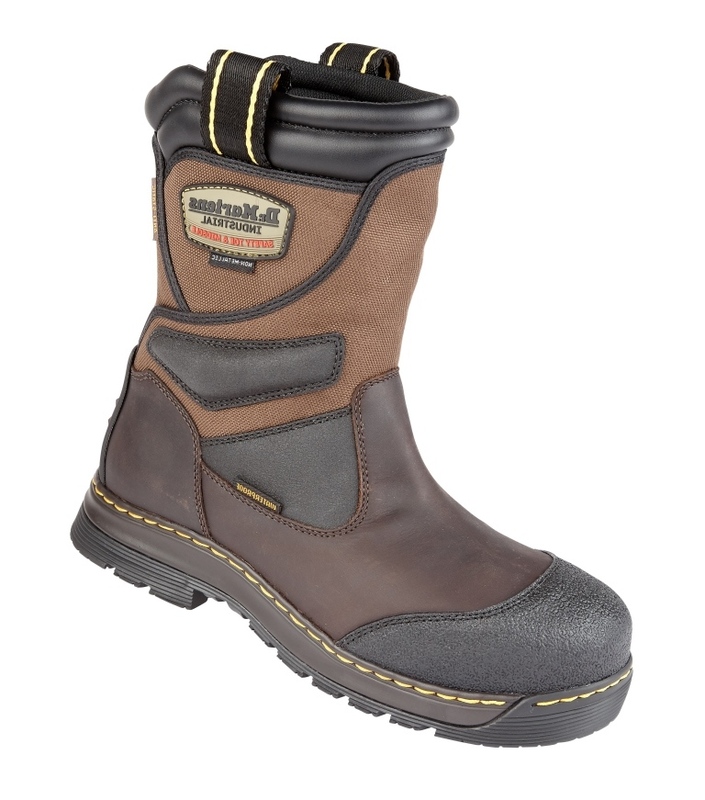 This fully waterproof, breathable and metal free rigger boot is designed and made totally for the wearer. Trades-Wear highly recommend this product. 200 Joules S3 WR HRO SRC. Fully waterproof rigger boot with Smartmask PU cushioned footbed for ultimate comfort and safety. Industrial oiled corrected full grain leather. Padded ankle and collar for comfort. HBR waterproof membrane with foam backed mesh lining for comfort and breathability. Nitrile rubber outsole – contact heat resistant to 300 degrees C.